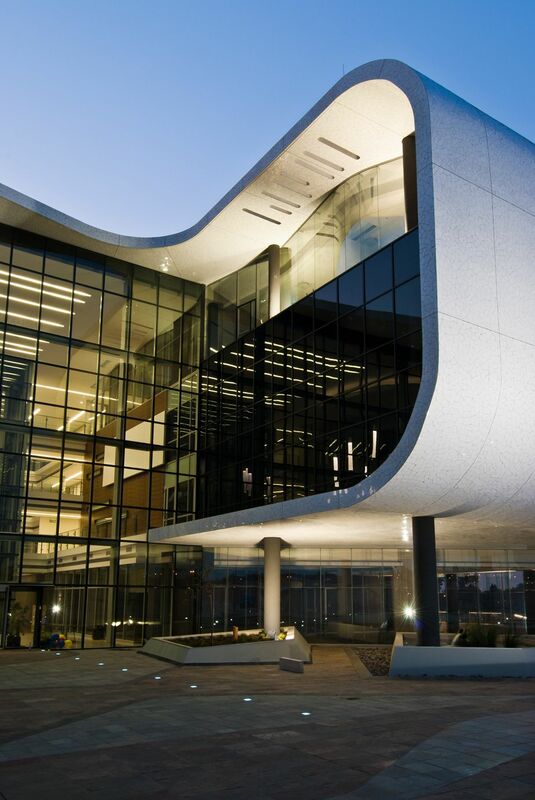 As a catalyst for a new office park along the rapidly developing stretch of highway between Pretoria and Johannesburg, the AFGRI head office building became a significant talking point during its construction. 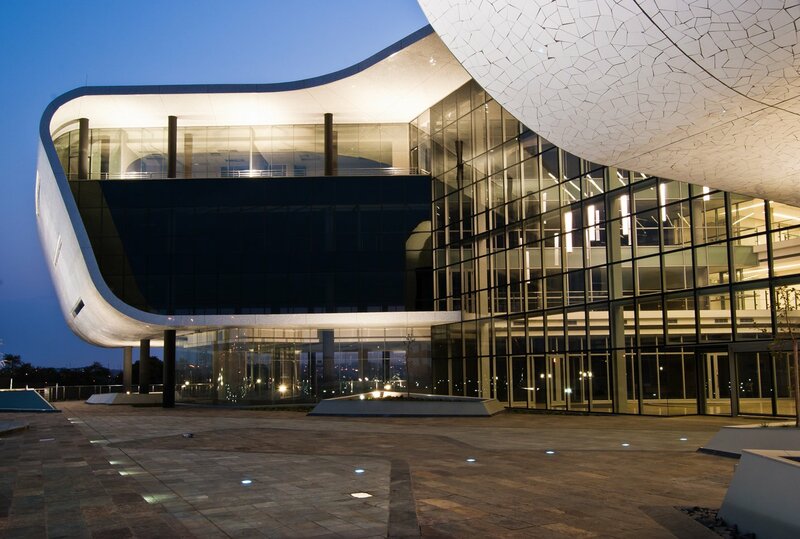 The design features make strong reference to Brazilian modernism, with two office pavilions joined by continuous concrete curves. Located between the busy highway and low-key residential housing, the building had to provide pleasing facades on both sides without jarring with the aesthetic of each area. This was achieved with a transitional flowing, sculptural form. Shaded glass lines permeate the facades, allowing for abundant natural light while shielding the interior from weather and noise. 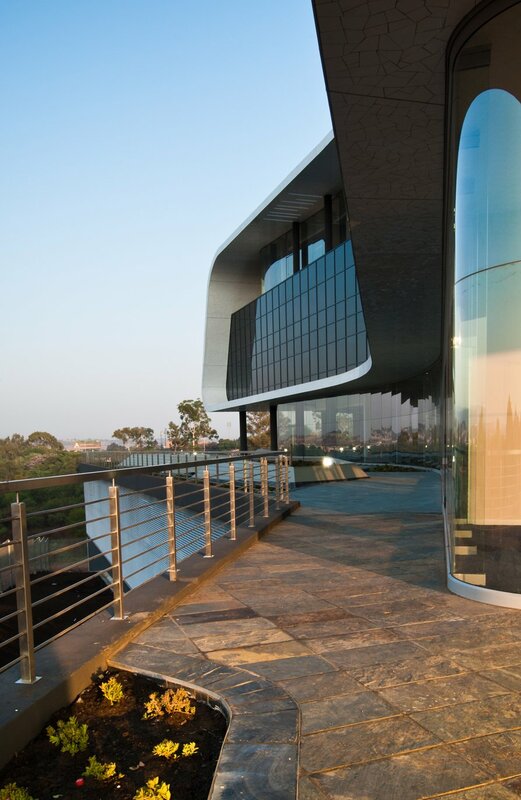 A second skin of aluminium louvres covers glass areas where the building is overexposed to the harsh African sun. The louvres’ edges form subtle wave-shaped patterns using the simple techniques of laser cutting and structural offsets. The office space is elevated on a series of pilotis, separating it from the corporate lifestyle areas on the ground floor. 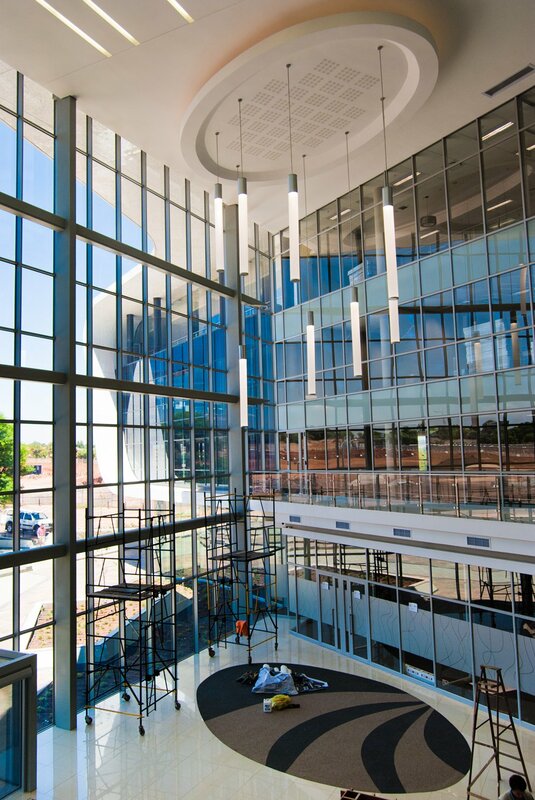 The generous use of glass and light creates a spacious interior for a more comfortable work environment. 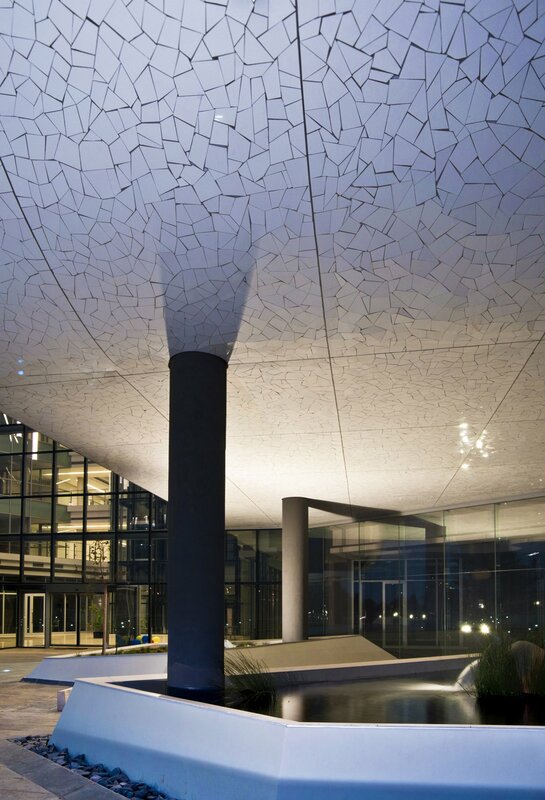 The building is wrapped in a broken ceramic tile facing or “azulejos quebrados”, popularised by modernists such as Santiago Calatrava, which creates a defining architectural statement on the landscape of Centurion.